This blog I am going to talk about my football team and recent football games. My football team I play on is a decent team. We get to pick our own team name, and we are the Spartans. Again. The quarterback’s name is Leiz he is a good quarter back and plays safety on defense. A safety covers the deep wider receivers. There is a other quarter back named Zach. He also plays safety. Our centers are Max and Tyler. They both play corners. Our running backs are Logan, Jacob, John, and Jay. They switch on the play we do. Our wider receivers are Logan, Zach, Jay, John, and me. Me and john are slots for a hand off. Most of the people do different places for a play. We also have people that just play on defense we have Michael that plays middle line backer he usually blitzes. Jay and John play line backers too. I play corner and Logan plays corner. We are a good team the first time I played on the team. We where undefeated champs. Our quarter back then was Luke he was the best quarter back. The next season I was not on that team. The next season I was back on their team and we where 3-2-1. Three wins, two loses and one tie. The tie was against an undefeated team so I was happy. But the ref’s were not smart. They moved the ball back so we didn’t get the first down. This season we won 1 game and the next cancelled from all the rain. I’m hoping for a good season this time. 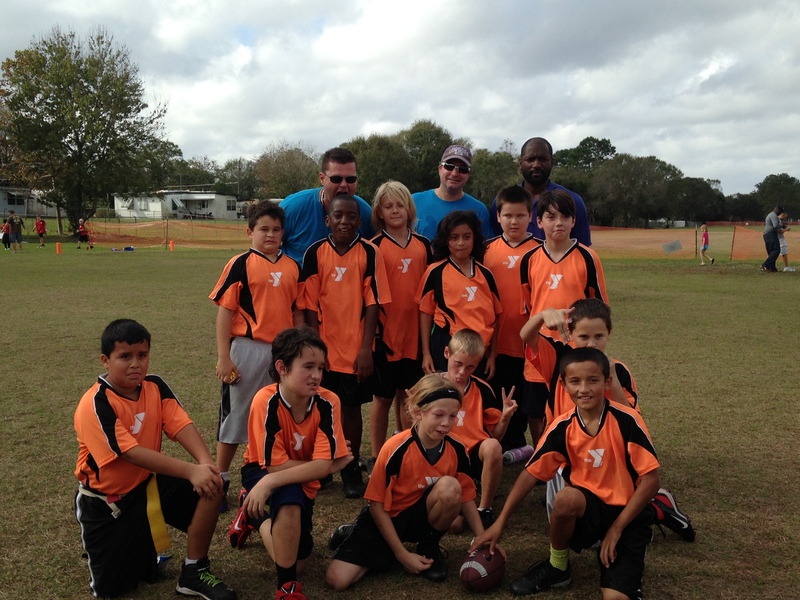 Brendan’s 2013 Blachard Park YMCA Football team.